“Pay $0 and get a new smartphone”. “For only $50 get a new iPhone”. Such tag lines aren’t uncommon for cell phone service providers. Consumers jump on these deals because in this day and age, having the latest cellphone defines a person. Who doesn’t have a smartphone to stay online? Being disconnected from the Internet makes you feel naked. Our lives are constantly tied to social media which makes it more important to have the fastest and fully featured cellphone on the market. What consumers don’t realize when they are taking advantage of theses “deals” is that they are falling prey to false marketing. These deals are in fact not deals at all, but the ploy of the cell phone providers to capture more of the market share by making users sign into long term contracts. Whether you live in Canada or the United States, there are only a few cell phone providers that will offer nationwide service. Since competition is scarce, these companies have essentially formed oligopolies and are able to control pricing which ever way they choose to do so. 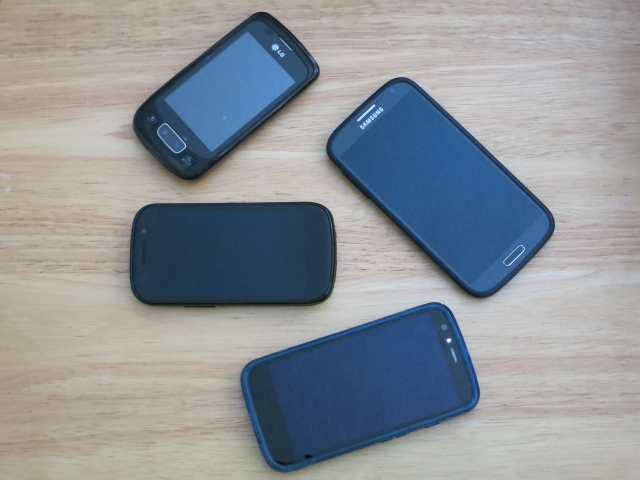 Cheap prices for cell phones are a way to attract clients. What users have grown to accept over the past years are rising costs of their monthly cell phone plans. The fact is, there is no free lunch. The cost of the expensive cell phones are just incorporated into the monthly cell phone plans to offset the discount. You are essentially paying more for the phone than you really think because your monthly plans are over inflated. Do you ever wonder why monthly plans went up from an average of $40-50/month in Canada to over $70-80/month once the government imposed 2 year contracts only? It’s simple, the amortized cost of the cellphone was reduced from 3 to 2 years and thus required larger monthly bills to cover the subsidies. As a smart consumer, you want to make sure that you are getting the best price for what you are buying. Most people think about their monthly carrying costs only and don’t even realize the true cost of owning the latest and greatest smartphone. What people are buying isn’t a phone, but a contract. That seems like quite a steal for a phone that’s retailing for $720 without a contract. What Rogers doesn’t advertise is how much the cellphone plan would cost. $60 base + data charges. What’s an iPhone without data? Practically a doorstop. Add 1GB and you’re up to $85/month. That’s a total commitment of $2 040 over two years! Where college kids get that kind of money is beyond me! Remember when plans were only $40-50 a month for similar features? Rather than upping for a brand new phone on a discount that forces a long term contract with a higher monthly rate, sticking to the old plans and buying the phone straight out would have been more cost effective. With savings of almost $35/month, over the period of two years, the monthly savings would add up to $840. That would easily outstrip the price of a new phone. Keeping grandfathered monthly plan to a lower cost has its own merits because these plans will never be made available ever again. If you re-sign a new contract at $85/month and hope to negotiate it down to $50/month I’m sure you will have a tough time.